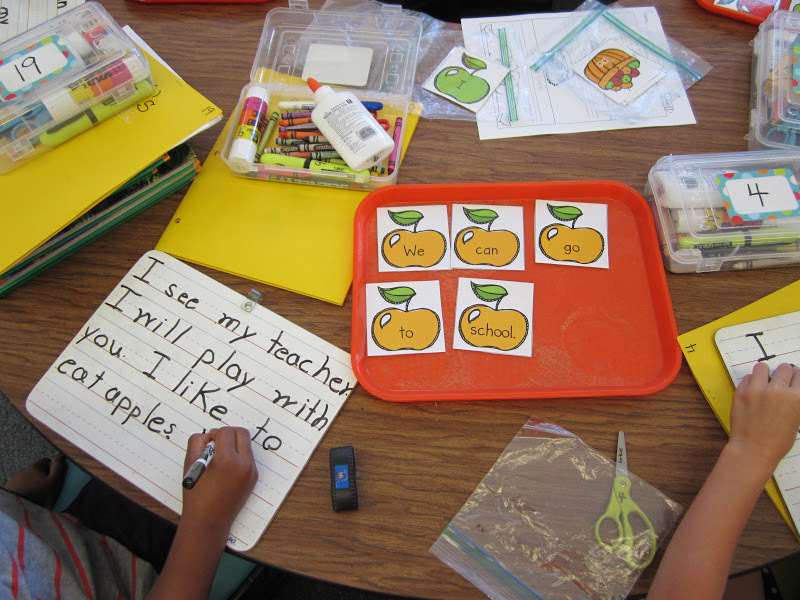 Do your students still need extra practice with phonics? 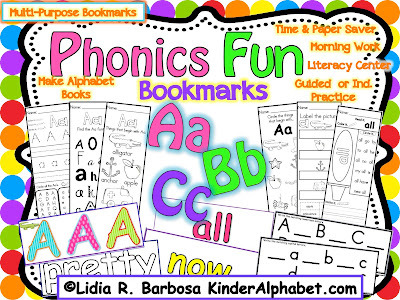 We have been working on letter identification, beginning sounds, sounding out words and sight words with some fun Phonics Bookmarks that I created for my son. 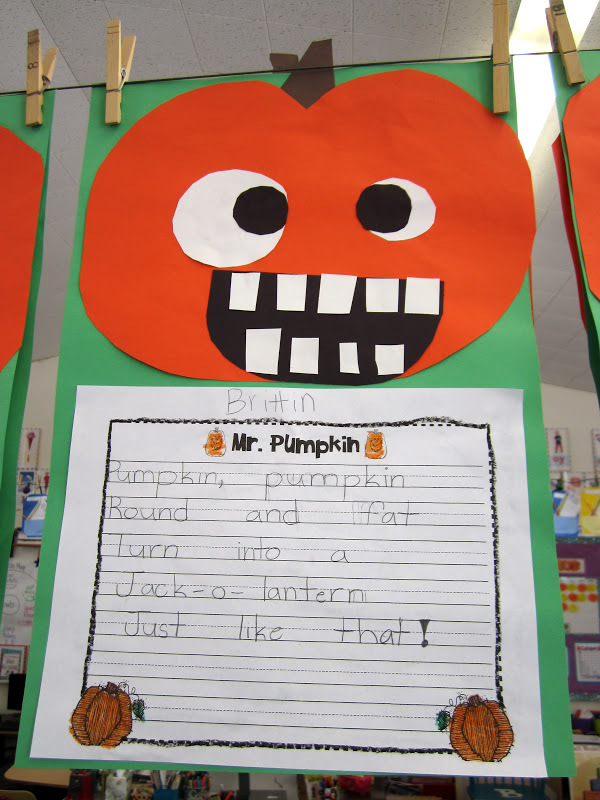 They address specific skills for beginning readers and can also be used for differentiation and as an assessment tool. 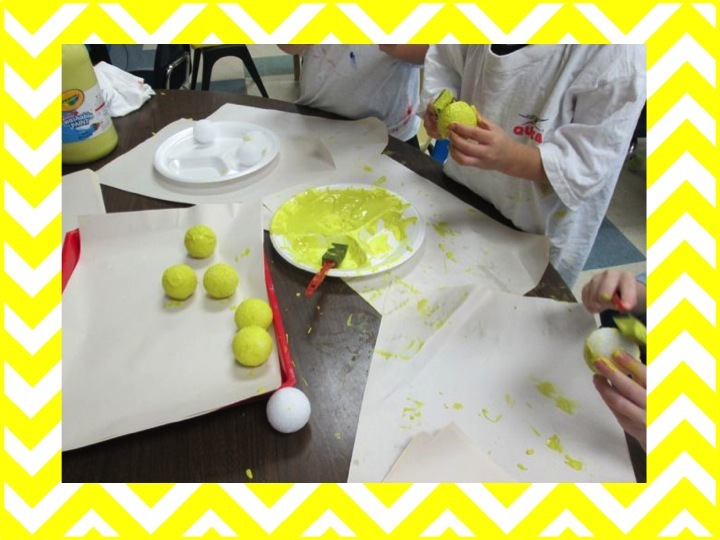 Hop on over to see these activities in action. 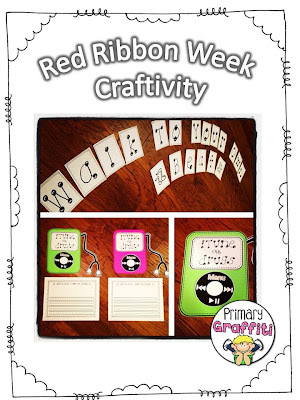 Are you looking for a cute last-minute activity to complete with your kiddos for Red Ribbon Week? I mixed a little pop culture with craft to design iTune Out Drugs. This was an instant hit! 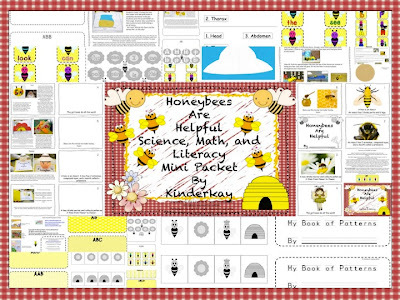 Hop on over to Teacher Bits and Bobs to check it out!! Fix Up The Mix Up! They were having SUCH fun putting the mixed up sentences back in order and working together to solve the puzzle! It struck me in that moment that I JUST had to make these for every single month! 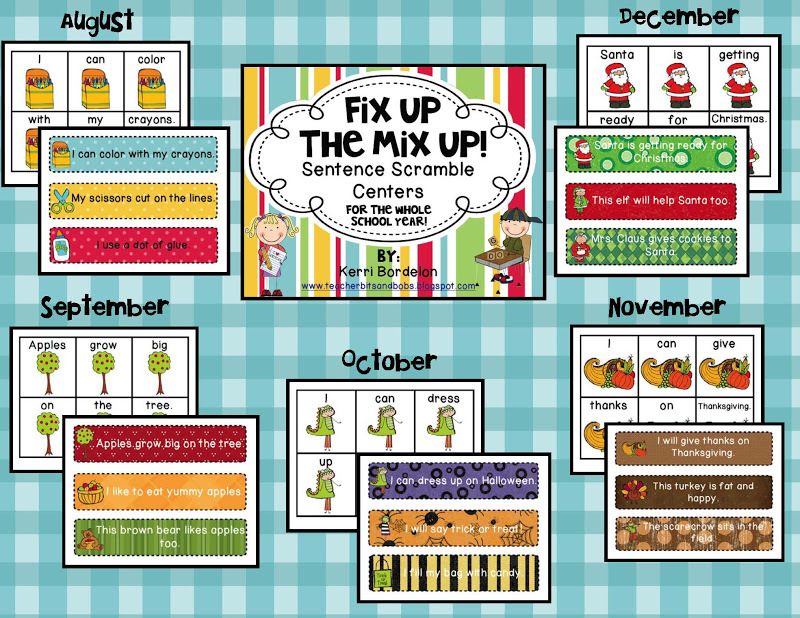 Thus, my "Fix Up The Mix Up" Sentence Scramble Centers were born! 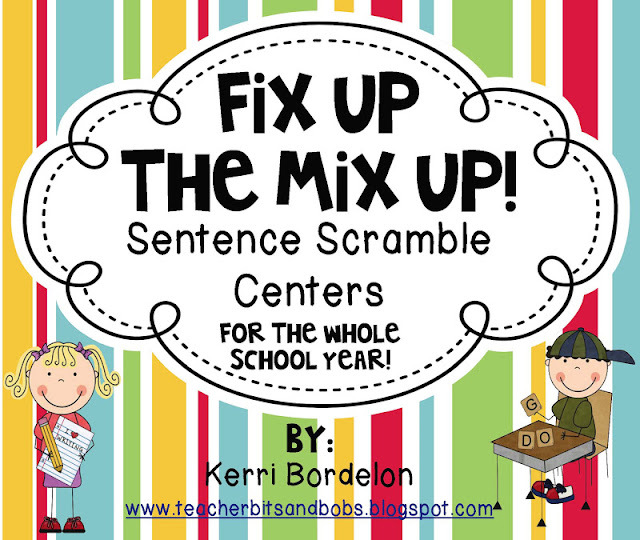 The main reason I love these "Fix Up The Mix Up"centers so much is because my kidlets can work COMPLETELY independently on them, either alone or with a partner, freeing me up to work with my guided reading groups without INTERRUPTIONS! Can I get am Amen, Sistas??? I also included sentence strips for each month that have the sentences printed correctly on them, so even Kinder Kiddos can be successful in unscrambling the sentences! 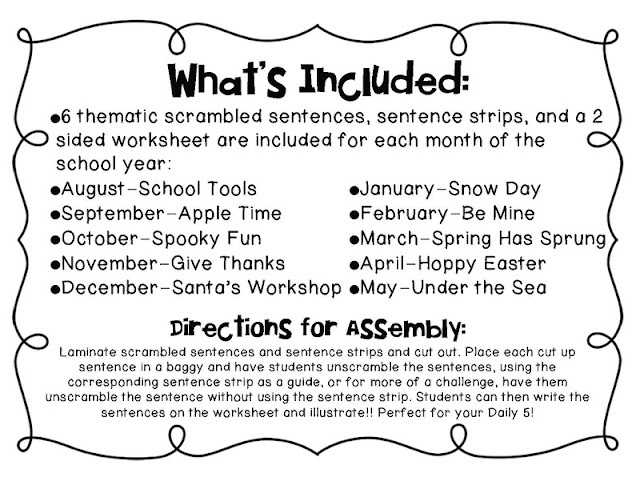 For the First and Second grade kiddos out there, I would allow them to unscramble each sentence on their own. I included sight words, decodable words, and some thematic vocabulary words in each sentence, so they will get plenty of practice reading and writing the words! 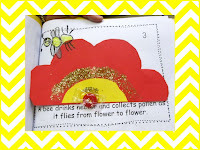 BTW, be sure to stop by my blog Teacher Bits and Bobs to enter a FABULOUS giveaway for a couple of AWESOME teaching resources from Educational Insights. Click on my button to head on over!! Strategies for Learning Vocabulary Words! 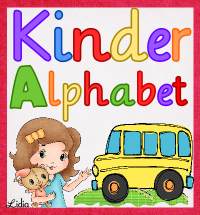 It's full of wonderful ways to teach new words, and we've been trying them out! We made vocab fortunes, bumper stickers, booklets, and more! 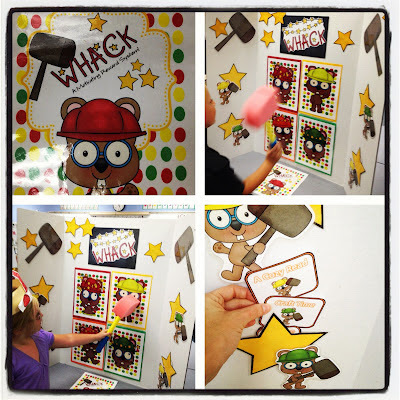 Come on over to my blog to see all the cool ways we've used our Vocabulary words and grab a freebie I created for using vocabulary words in comic strips! Hi all! So yesterday I had a little Mental Math Event, but some people had issues downloading the Doubles Mental Math Strategy Unit that I was offering for free. Thanks to the awesome support team at TpT, this issue is fixed and I have extended the event for one more day (until tonight at midnight). SO, if you are teaching Mental Math this year, you might just want to snag this free unit before midnight. For all the information and links that you need, please come visit me at my Teaching in the Early Years blog by clicking on the image below. 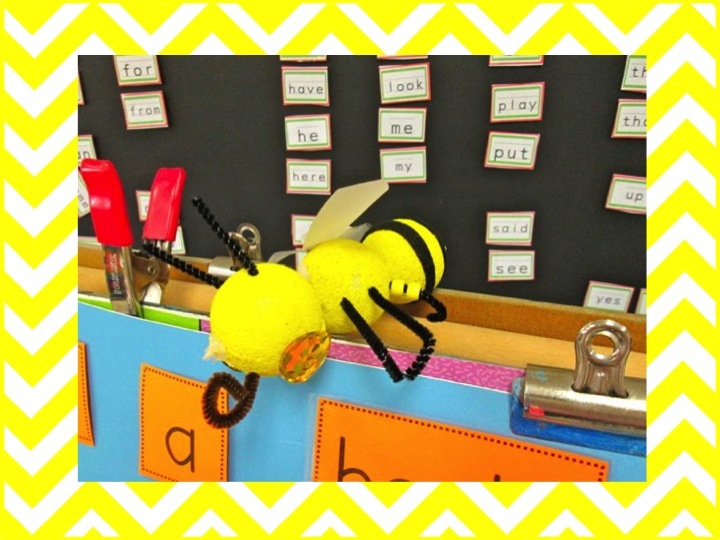 I know many teachers do a Bee unit in the spring to coincide with the awakening of the blossoms, but we do our Bee unit in the fall for a couple of reasons. One is because the insects here in central Illinois are awake and alert in the early fall and this makes it possible for us to do several insect observations. We also do our unit in the fall because we take a field trip to our local apple orchard in the fall. We are blessed to have this resource so close to our school. All 3 kindergartens hop on the school bus and we are at the orchard in less than 15 minutes! 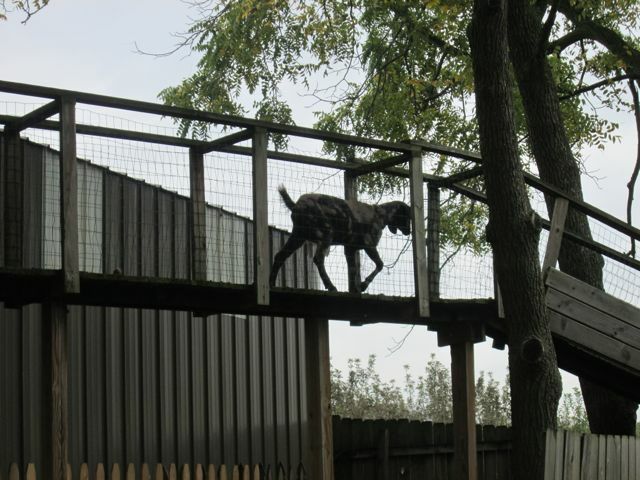 Woo hoo! 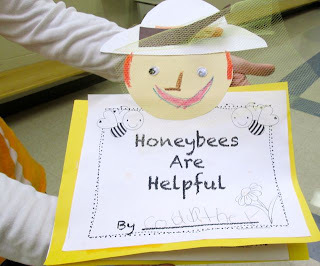 We have the choice of going to the pumpkin patch, the orchard, or learning about how bees help apples. 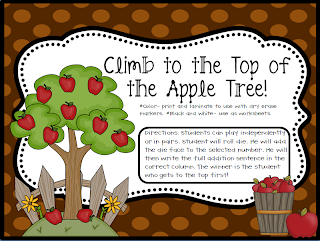 We opt for the last choice because it goes along so well with our Apple unit. The jump from apples to bees is pretty easy and is a great way to connect the dependence of animals and plants upon each other. 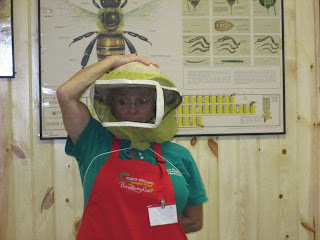 The apple orchard has added an indoor classroom for their bee presentation which is amazing. We are so proud of our students when they can answer the honeybee questions correctly. Of course, there are the occasional answers that make us cringe such as "What gets on the bees body when they fly from flower to flower?" 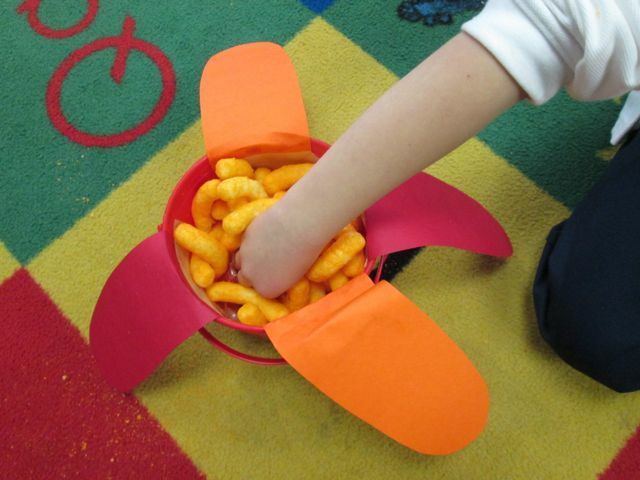 and one of our little ones answers "Cheese dust!" Hmmm........ well............ that of course, came from our science discovery investigation the week before. I placed wrapped life savers in the bottom of a plastic bucket and covered them with Cheetos. Each child had the opportunity to pretend like their hand was a bee and they dove into the bucket looking for "nectar". When they pulled out their hand, it was covered with cheese dust - just like pollen covers the bee's body as it flies from flower to flower. Luckily, we had only one of these not so right answers and the orchard presenter was impressed with their knowledge! :) Whew! 1. Honeybees are insects. 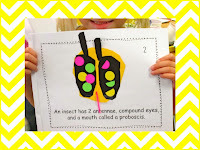 Insects have 3 body parts and 6 legs. 2. 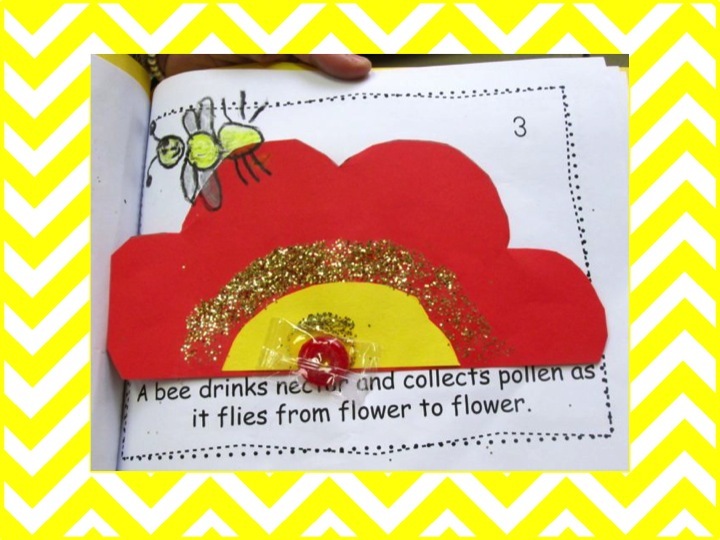 Honeybees have compound eyes and 2 antennae. Bees have a special mouth part called a proboscis. 3. Honeybees are pollinators. As they gather nectar, they spread pollen from flower to flower. 4. 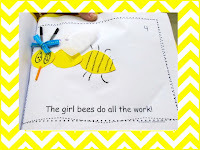 The girl bees do all the work. 5. Honeybees make honey. 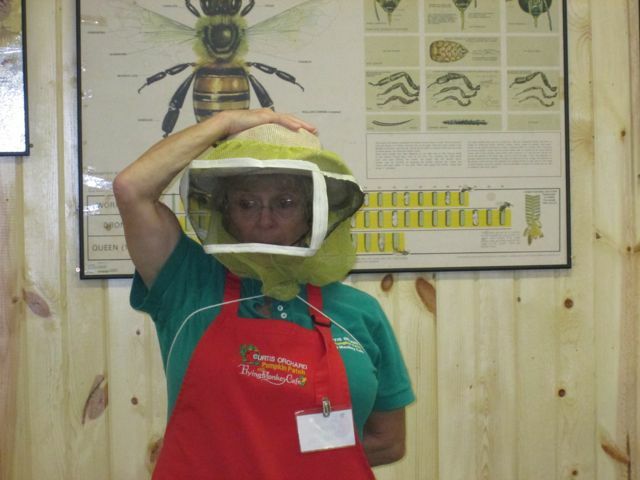 Beekeepers gather honey from hives using special suits and equipment. We taught one of these concepts a day for a week. I created a booklet with real life photographs of each concept that I projected upon my Promethean board. We read picture books and looked at posters. We looked at real insects with magnifying glasses. 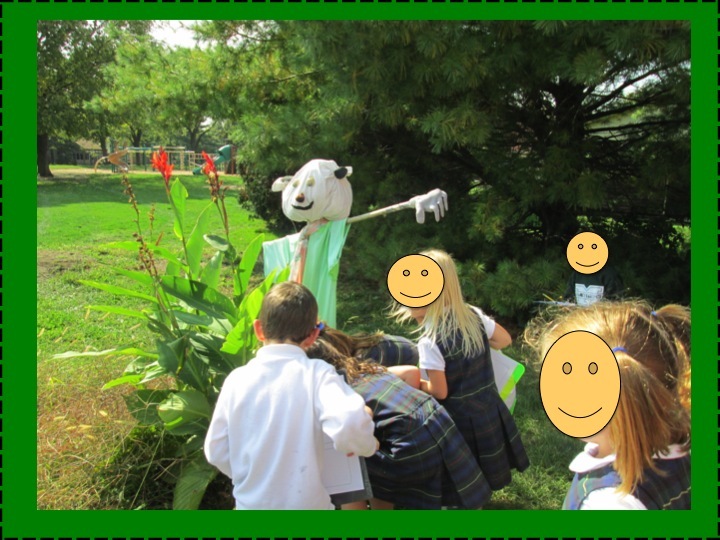 Here we are observing a couple of bees that we found in our school garden. 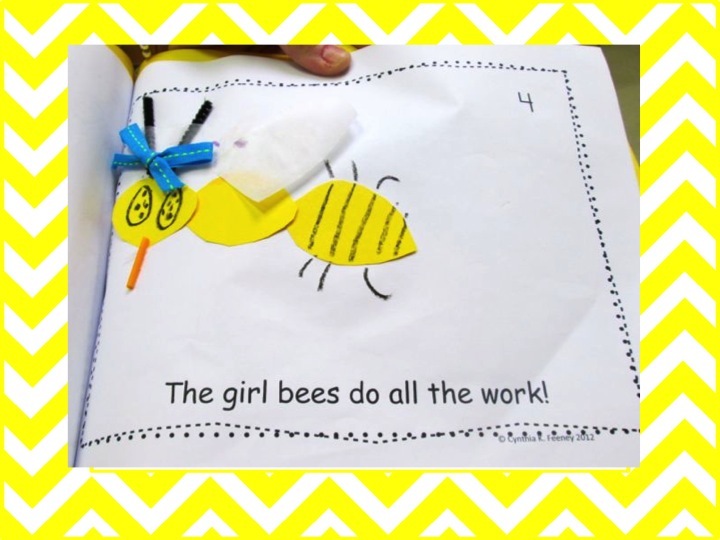 At the end of the lesson, we took our construction paper, glue, scissors, and crayons to create an illustration for each page of the book. If you are REALLY ambitious, you can make a 3D bee from Styrofoam balls! 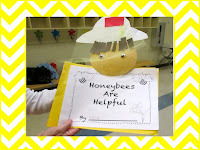 If you would like the directions for making the 3D bee, you will find the LINK here. 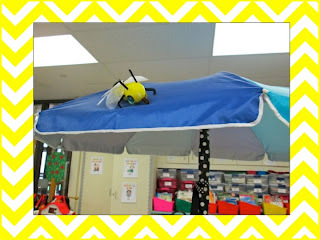 You can find my BEE unit HERE or click the picture. 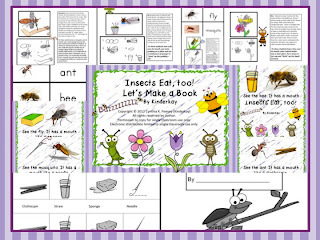 Click HERE or on the picture to go to my FREE Insects Eat Too packet! Hi friends! It is Katie from Queen of the First Grade Jungle here! Colorful leaves, football, tailgating, crisp air, and hoodie sweatshirts- fun, fun, fun! As a teacher, I also love all the fun teaching opportunities that spring up when the holidays come around! Our math program called for us to begin subtraction this week (eek!) so my team felt like we needed to pull out the big guns to make a lasting impression. 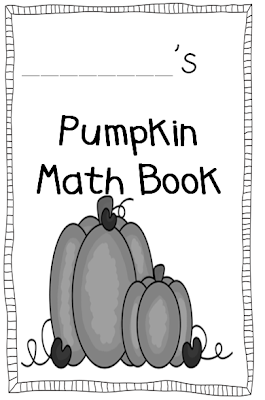 I put together a few math centers that could be completed with your pumpkins (because I know MANY of you will be going to the pumpkin patch)! 1. We put pumpkins in order by how much they weighed. 2. We used yarn to figure out the circumference of the pumpkin (then we used cubes to see how long our yarn was). 3. We wrote addition stories about pumpkins. 4. 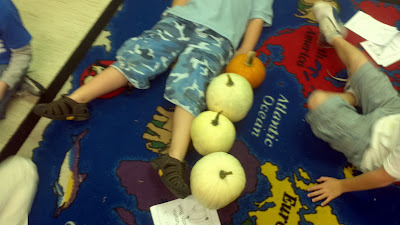 And our favorite- we used the pumpkins to see how long we were. 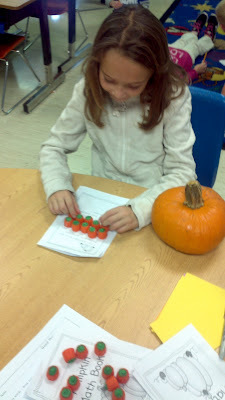 When the students came to me for some small group instruction, we used those VERY yummy pumpkin candies on ten frames. I also have an addition facts freebie linked on my blog if you want to head over and check it out! Come check out my newest interactive reward that will engage any young learner! 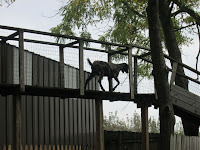 For additional pictures, link here. For my download, click image below. That honker of a keyboard was found at my local thrift store! I got it for a whopping $4! 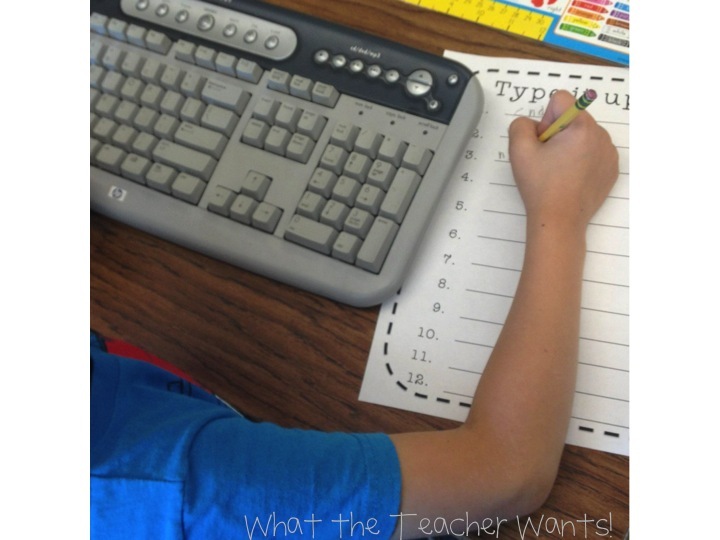 I bought a few more and my students LOVE to "type" up their spelling words on them! You could also print off a keyboard on cardstock and laminate it. 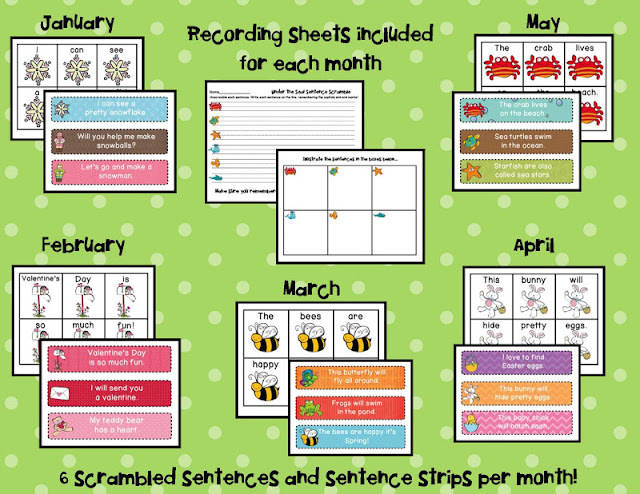 This recording sheet and 15 spelling activities are available in my new TpT packet! 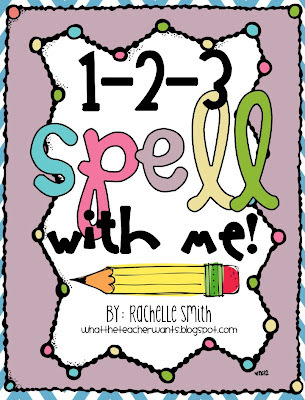 This packet includes 15 spelling activities for your students to practice their spelling words independently! 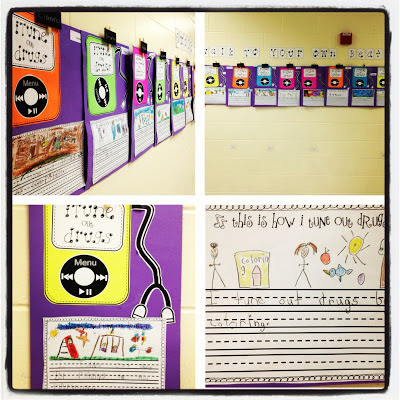 Each activity comes with a kid-friendly direction sheet for you to post in your classroom.